Ocean Grove Tennis Club held its Club Championships with record members competing. 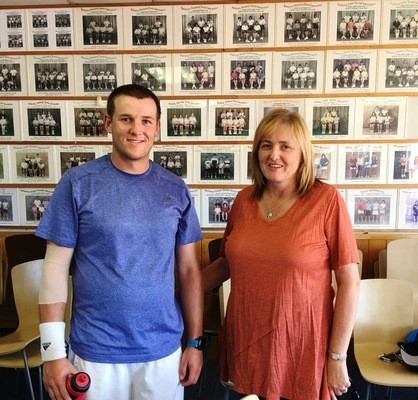 The winner of the A Grade Men’s Singles was taken out by Jarryd Proctor, a member of the club since juniors. It was a well fought battle by Nigel Allen and was great to be sitting on the sidelines watching. Another great match to watch was the A Grade Men’s Doubles with Jarryd partnering up with David Franks. Some superb tennis and commiserations to runners-up Nigel Allen and Adam Larsen. 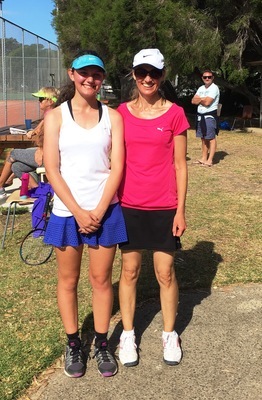 The winner of the A Grade Women’s was taken out by Brooke Vigilante, who is one of the club’s talented juniors, defeating Nicci Bain, one of the club’s great Wednesday Night Ladies players. B Grade Singles went to Brendon Snookes betting Des Gorman in a tough match. Special mention goes to the B Grade Ladies which was ferociously fought out by the Wednesday Night Ladies and congratulations goes to Deb Berry, who played in many sections, for making it to the finals with Chrissie only to be out done by Fran and Mel in a very close game.